The Mercedes Benz GLA luxury Crossover has arrived into India. 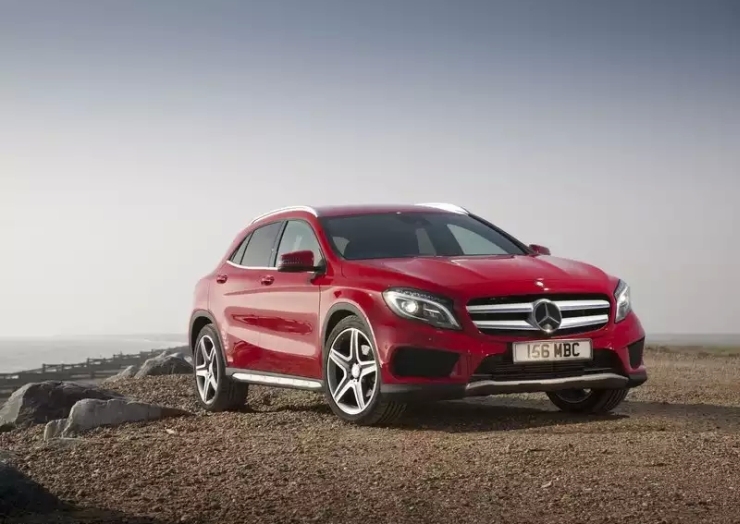 The GLA is Mercedes Benz’s answer to the likes of the Audi Q3, the BMW X1 and the Volvo V40 crossovers. Priced at 32.75 lakh rupees, 36 lakh rupees and 36.9 lakh rupees, ex-showroom Delhi, for the Diesel Style, Petrol Sport and Diesel Sport variants respectively, the Mercedes Benz GLA is pricier than the trio of the Q3-X1-V40. 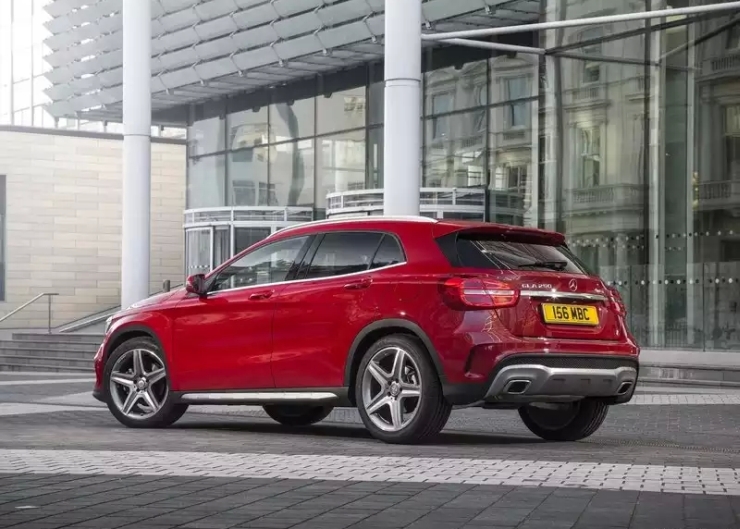 The GLA crossover is a slightly jacked up version of the A-Class hatchback in terms of height, with the crossover gaining just 61 mm over the A-Class. The ground clearance though is much more ample at 183 mm, and this is a full 30 mm hike over the international variants. Mercedes Benz India has also outfitted the GLA with 18 inch alloy wheels, an inch above that of the international variants’ wheels. In terms of styling, Mercedes Benz has taken the butch route with the GLA, which looks much more chunkier than the svelte and sporty A-Class hatchback. Based on the MFA platform, the GLA crossover shares a lot of parts with its other siblings such as the A, B and CLA class models. 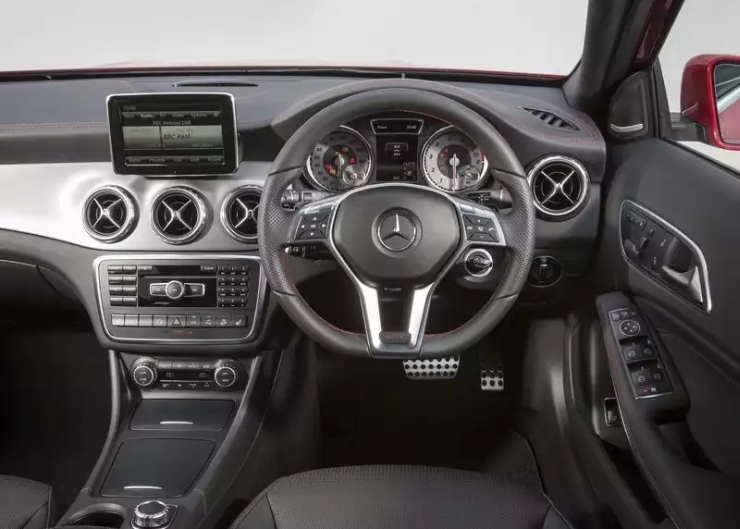 One such bit is the interior design of the GLA, which is similar to that of the B-Class. 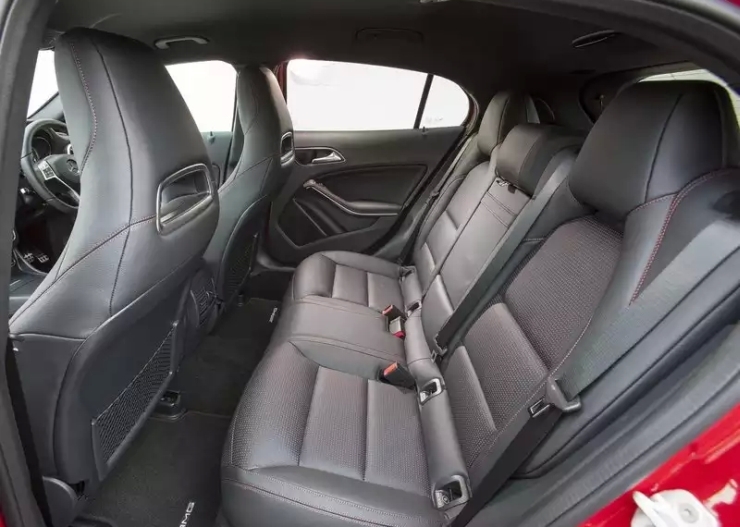 In terms of utility, the GLA packs in a 60:40 split for the rear seat and a 421 liter boot. The crossover hosts two, four cylinder engine options in the form of 2 liter turbo petrol motor that outputs 181 Bhp-300 Nm, and a 2.2 liter turbo diesel motor that makes 134 Bhp-300 Nm. The diesel GLA accelerates to 100 Kph from standstill in 9.9 seconds, while the petrol gets there much faster, with a 7.6 second timing. Top speeds of the diesel and petrol models are rated at 205 Kph and 225 Kph respectively. Both engines use 7 speed dual clutch automatic transmissions that drive the front wheels. ARAI fuel efficiency figures for the petrol and diesel GLA models are pegged at 13.8 Kmpl and 17.9 Kmpl respectively. Meanwhile, Mercedes Benz has reserved the 4MATIC all wheel drive layout for the GLA 45 AMG high performance crossover, which will arrive into India next month through the completely unit unit (CBU) route. 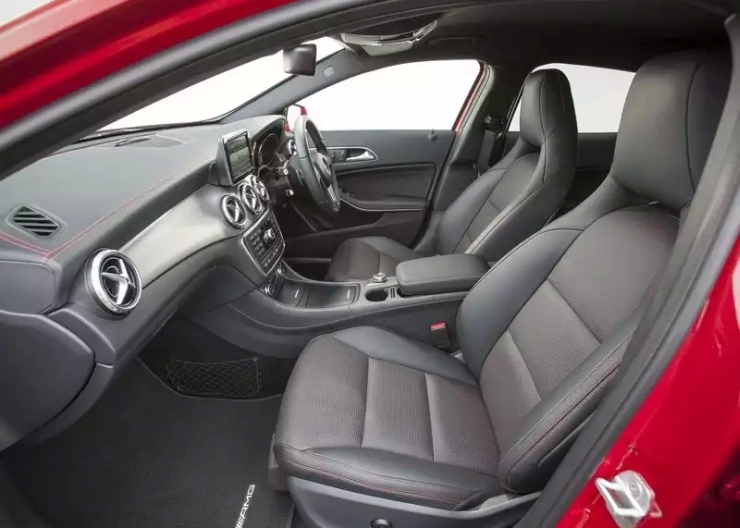 In terms of safety features, the GLA comes with 7 airbags, ABS+EBD, hill start assist, ESP, traction control and anti-skid regulation features as standard fare. Mercedes Benz has already racked up about 600 pre-bookings for the GLA crossover within 18 days of the bookings being thrown open. Deliveries of the crossover will begin immediately. 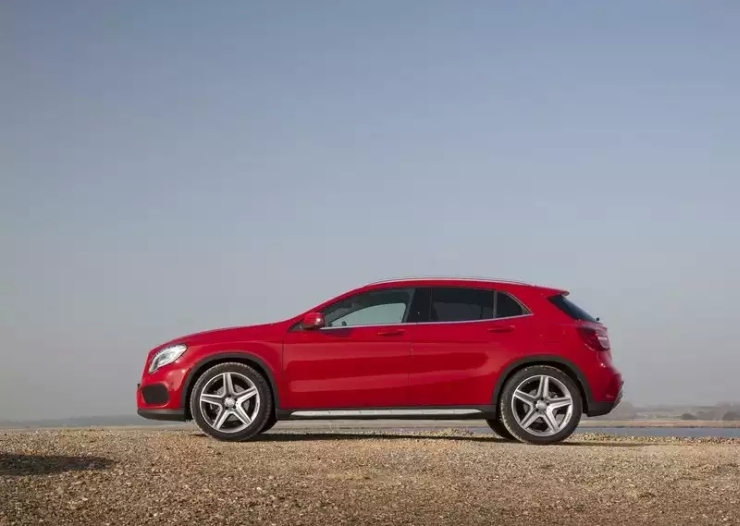 The GLA crossover is an important cog in Mercedes Benz’s plans of re-taking the numero uno position in the Indian luxury car market, a position that the German giant lost to competitors and compatriots, BMW and Audi, in that order.